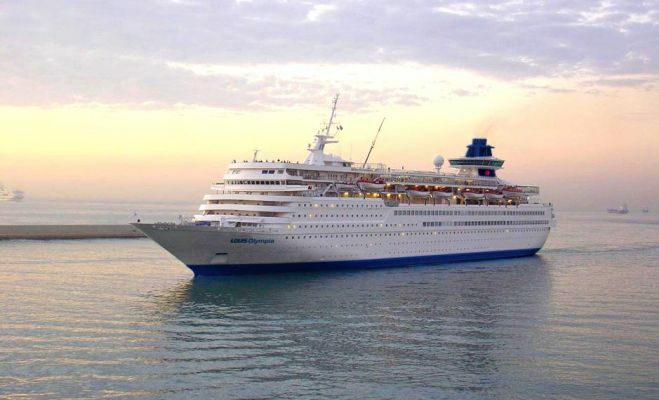 Greece and Turkey cruise with the Celestyal Olympia cruise ship. 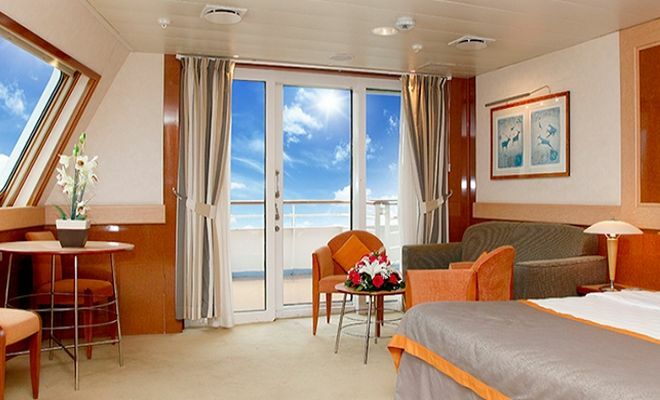 Order a drink on the Hera deck, beside the Olympia’s sparkling pool, and watch the Aegean unfurl before your very eyes. Two lounges, five bars, three restaurants, fully-equipped Olympian Gym, the Sana Beauty Center, the Travel Value & Experiential Shopping Centers, the library and a Kids’ Club are always at your service. 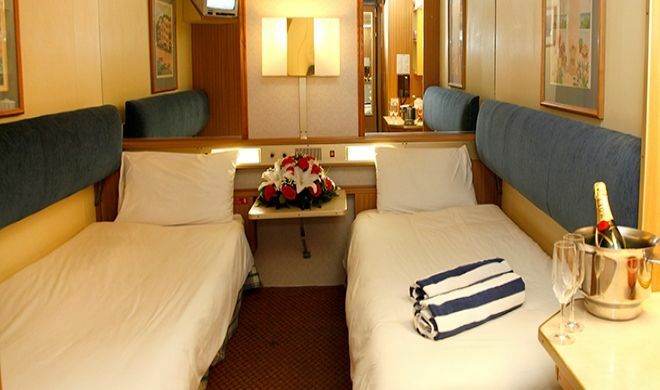 Celestyal Olympia can accommodate up to 1664 passengers in 724 cabins with en suite WC, TV, Radio and A/C. Her-02: Minoan Palace of Knossos 1st European civilization. The ancient city of Knossos, with constant habitation from the Neolithic era until the 5th century A.D., is beyond doubt the land that “gave birth” to the first civilization of Europe, the Minoans. The first excavations were begun in 1878 by the Heraklian Minos Kalokairinos. A bit later (1900-1913 & 1922-1930) the excavations by the British Sir Arthur Evans were to complete the scientific research, bringing to light the Minoan palace in its entirety, which was, according to tradition, the residence of the wise King Minos. The palace of Knossos spreads around the large Central Court. You will reach the awe inspiring Throne Room, the fresco of the “Prince of the Lilies”, the imposing Grand Staircase, the Queen’s Megaron in the east. Walking through the apartments of the Knossos palace and observing the finds even as passers-by, you will feel part of this cultural heritage. We will stop in Heraklion on the way back to the ship. Heraklion was founded in 824 and is an important homeland of many contributors to Literature and Art, some examples of which are the Nobel winning poet Odysseas Elytis, the Renaissance painter Domenikos Theotokopoulos (El Greco) and the writer Nikos Kazantzakis. Heraklion is also endowed with some wonderful edifices: the “Koules” fortress, the award winning Venetian structure of the Loggia, the Morosini Fountain, the Basilica of Saint Mark, and the Church of Agios Titos. Starting the walk from Liberty square of Heraklion guests will pass by the shopping streets of Dedalou and 25th August and see the aforementioned sights along the way. with ancient monuments, chic cafés and unique shops. 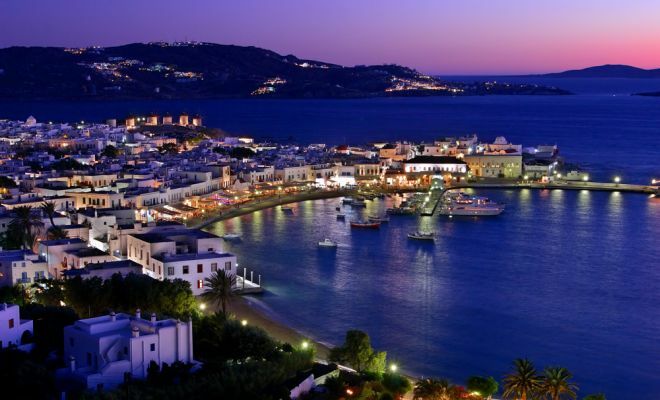 Mykonos is a delightful island renowned for its lovely countryside and its beaches, its iconic windmills and sea breezes. 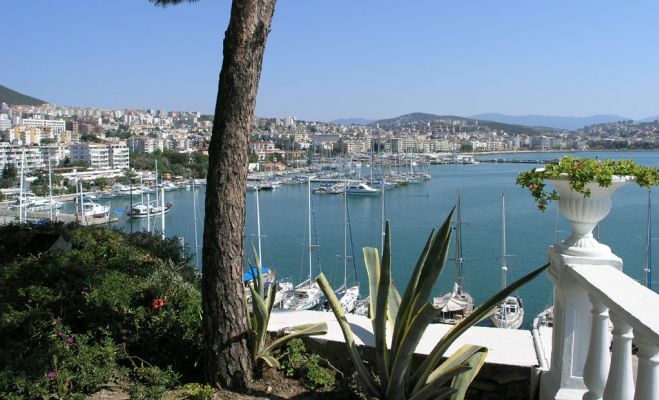 of the finest is resort town on the Aegean coast. Many believe John the Apostle wrote the Book of Revelations in a mountainside grotto where he heard the voice of God. Further up the mountain, within the white walls of Hora, the monastery founded in his honor in 1088 stands sentinel above this verdant island. 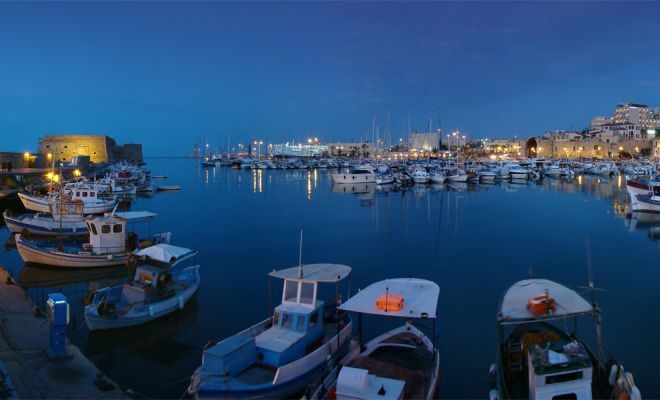 Heraklion is an ancient Venetian port and the fascinating capital of Crete. 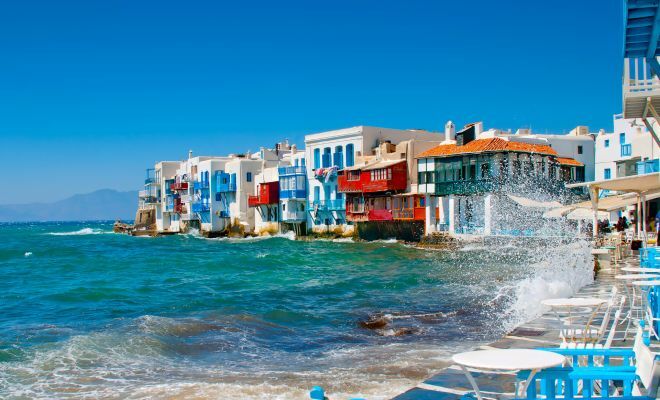 Greece’s largest island is a paradise of secluded beaches, hiking trails, rivers and archaeological marvels. Arrival at 07:00 / Disembark. 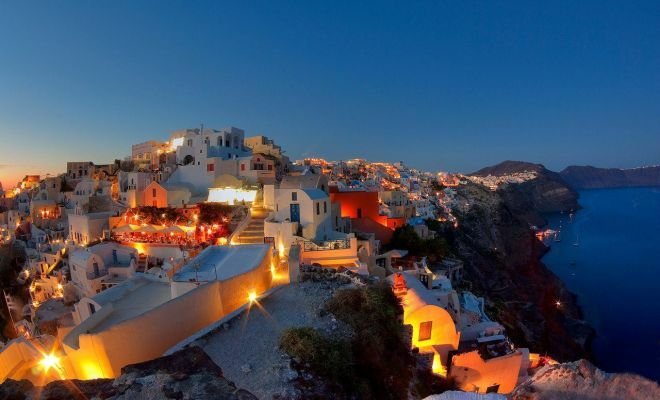 Visually, Santorini is the most spectacular of the isles in the Cyclades. With its brilliant flooded caldera, high cliffs and charming villages, it is the Greek Isle of everyone’s dreams. Our tour will take us to Santorini’s highest peak, crowned by the Mount Profitis Ilias Monastery. At 883 feet, Mt. Profitis Ilias rugged landscape is largely composed of volcanic rocks as a result of hundreds of eruptions during the last two million years, some of them being large caldera-forming events. Here, in this remote spot, we’ll have an ideal photo opportunity to capture the beauty of this ancient island. 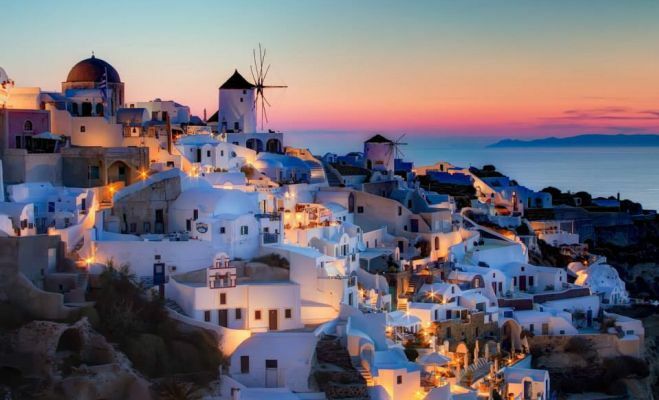 We’ll discover the village of Pyrgos, which was the capital of Santorini until 1800. Here we’ll be able to admire the beautiful old houses and the Venetian Fortress crowned by several churches. Our half-day tour then takes us to one of the island’s most famous traditional wineries. Viniculture is an ancient art in Santorini, and the fact that vines thrive at all is amazing considering the fact that the island has limited water resources. But the volcanic soil is an excellent medium for producing grapes, especially the Assyrtiko grape – a rare, white variety. After our visit, we’ll drive through the countryside to visit Oia. This traditional Greek village of whitewashed cubes is perched impossibly high on cliffs at the north west tip of the island. Here, take in the stunning views of the island from one of the charming cafés or stroll above the rooftops of the homes carved into the cliffs and gaze into the deep blue waters of the caldera far below. From Oia village, we’ll return to the cliff top town of Fira. Our tour ends here.